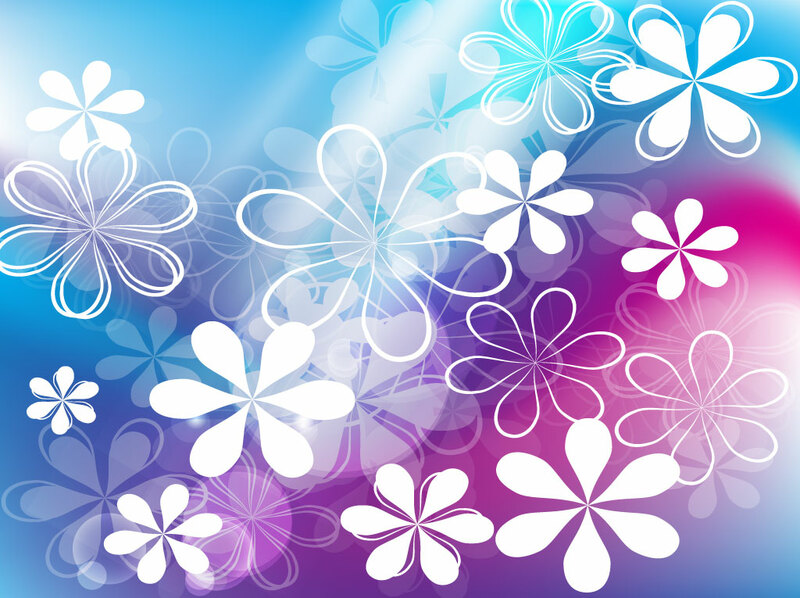 Blue vector background with layers of white flowers. Variation of solids, outlines and transparency create a beautiful and colorful floral design. Download the free graphics for your retro themes, decorative banners, smart phone covers and happy birthday greeting card designs. The design is reminiscent of the simple flower illustrations you saw everywhere during the flower power decades, Sixties and Seventies. The backdrop looks like a batik or tie-dye artwork with bright and deep blue color tones. Tags: Batik, Lights, Mesh, Natural, Plants, Radiant, Retro, Tie-Dye, Vector Background.